April 6, 2017 10:31 am. THE Queen Elizabeth Stakes is a group one, weight-for-age race, three-year-olds race over 2000m, held at Randwick. A race steeped in history, the Queen Elizabeth Stakes has existed in Australia for well over 160 years. Currently held on day two of The Championships as the showpiece event, the $4 million prize money makes it Australia’s richest weight-for-age race and is currently the second biggest purse in thoroughbred racing behind the Melbourne Cup. The race has undergone massive changes since the inception of The Championships. The prize money was boosted from a relatively meagre $500,000 to the huge amount it holds today, and is recognised as the signature event of the Sydney Autumn Racing Carnival. The race has been known as the Queen’s Plate, The AJC Plate, the AJC King’s Cup and the AJC Plate, but has not had a name change since it was anointed the Queen Elizabeth Stakes in 1954. There are many notable winners of the Queen Elizabeth Stakes over the race’s long history, and winner’s plaque reads like a veritable hall of fame honour roll for Australian thoroughbred racehorses. Phar Lap, Lonhro Might And Power and Ming Dynasty are all previous winners of the group one race. Winx is the unbackable Queen Elizabeth Stakes favourite. Winx is the $1.06 favourite at online bookmaker BetEasy to end her career in style on Saturday. No other runner is in single figures. He’s Eminent is the next-best in the market at the $18 quote while Happy Clapper is at $19. As the race is one of the showpiece events of the Australian thoroughbred racing calendar, any bookmaker worth their salt will open markets well in advance of the race kicking off. The bookies we back in to give you the best possible service and odds are listed below, and we recommend anyone looking to bet on the QE Stakes to take a look below to read our comprehensive bookmaker reviews. Since the dramatic increase in prize money, the Queen Elizabeth Stakes is now a true international event. As the second richest race in Australian thoroughbred racing, the race is targeted by trainers and owners from around the globe. The best indicator for the race is exposed form, and you will have no troubles finding recent runs of the horses taking place in the pinnacle of The Championships. Given the calibre of the field, usually there is no true standout market elect in the Queen Elizabeth Stakes, but favourites have experienced great success. 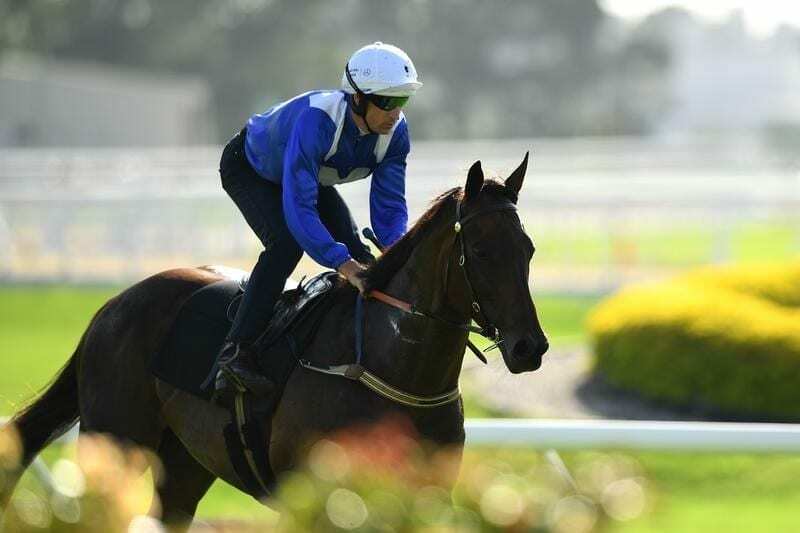 Day two of the 2019 Championships was all about Winx and the mightymare delivered in spades in her swansong. Winx jumped evenly and settled nicely, running freely in midfield. Just before the turn Bowman decided it was go time and she duly responded, getting to the front with absolute ease and stormed away to win her final ever race. Winx came into the Queen Elizabeth looking to go back-to-back and there weren’t many prepared to doubt the great mare. The punters’ faith was rewarded after Winx rocketed past Gailo Chop in the final stages of the race to record a commanding victory. Winx was once again superior in beating the usual contenders around Randwick. The Chris Waller-trained champion cruised up to them around the home turn and Hugh Bowman didn’t have to move a muscle. Its 17th win in a row was a stylish victory and it was another high-profile win to the resume. Read the full report here. Lucia Valentina was considered a borderline outsider in the huge field in 2016, and after settling at the back of the field the bookies would have been comfortable with any bets placed on the $8 hope. Just before the turn the horse made its move but got badly held up. After a rival shifted wide in the straight, the run presented itself for the mare which rocketed to the front to record a special win. The strongly supported Criterion went into the 2015 edition of the QE Stakes as $4.90 chief elect, but few would have predicted just how easily the gun would make it look. Camping on the speed for the majority of the race, Criterion booted clear at the 400m mark and gapped the field to record a comfortable win. In what would prove to be the champ’s swansong, It’s A Dundeel took out the 2014 QE Stakes in amazing fashion. Going out as a $4.40 shot, the Kiwi superstar raced in third for the majority of the journey, but was somewhat gapped by the front pair. Seemingly in slow motion the brilliant New Zealander pegged back Carlton House, then held out a fast-finishing Sacred Falls to round out its glittering career. It’s A Dundeel was expected to torch the field in the 2013 Queen Elizabeth Stakes, but English runner Reliable Man offered plenty of cheek heading into the straight. The Kiwi superstar loomed up but the $12 shot Reliable Man offered more in the final 200m to cause a massive upset – much to the chagrin of the Sydney crowd.